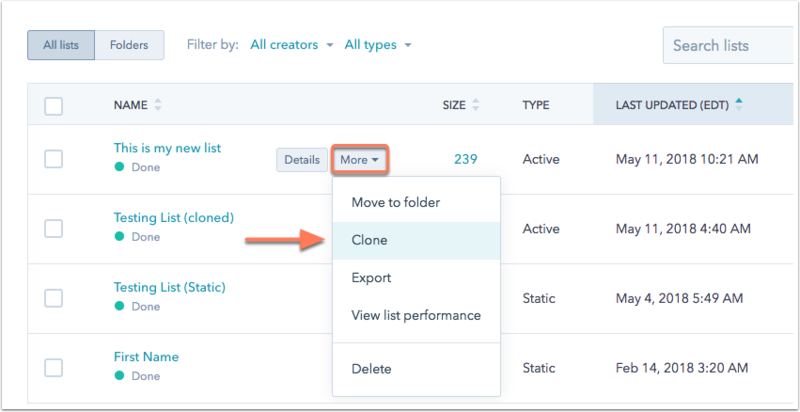 If you already have a list in HubSpot that you want to edit or duplicate, you can do this by cloning your list and making the necessary changes to the newly created list. Please note: only active lists can be cloned; static lists cannot be cloned. Learn about the difference between active lists and static lists. Hover over your list, then click the More dropdown menu and select Clone. 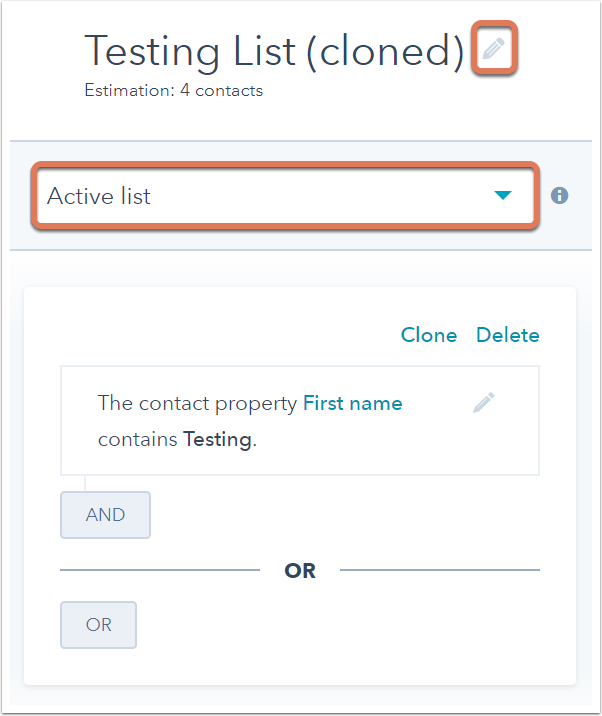 You'll be taken to the cloned list, which will have the same criteria as your original list. In the top left, click the pencil icon edit and enter a name for the list. In the upper left, click the dropdown menu and select whether it should be an Active list or Static list. Make any changes to your list criteria as needed, then click Save in the upper right.